The Swiss company Victorinox is famous around the world for its high quality and extremely functional red little pocket knife with the cross and shield emblem on the handle. Having developed the famous “Original Swiss Army Knife” over 130 years ago, the company today offers pocket knives for all life’s adventures, both big and small, for all tastes and budgets. And now a Peruvian collection as well. 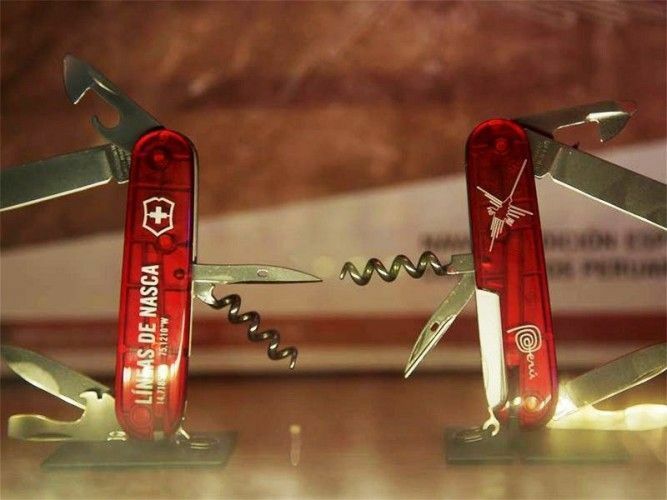 As Marca Peru announced, the renowned swiss brand launched a collection of three red pocket knives with a Peruvian design. 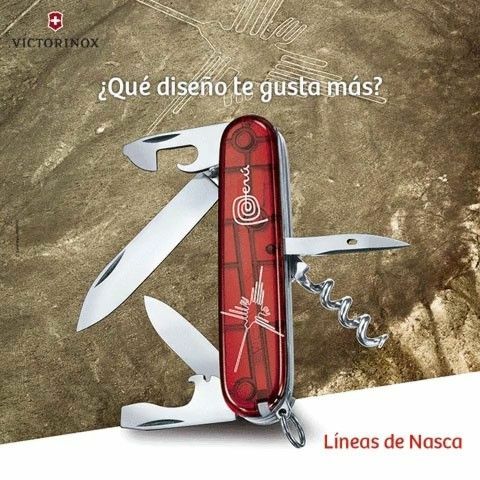 The basis for the limited Peru edition is the Victorinox Spartan pocket knife, a model inspired by the legendary officer’s knife with 12 functions and 10 tools (large and small blade, can opener, screwdrivers, bottle opener, wire stripper, reamer, punch and sewing awl, corkscrew and key ring). The design however is Peruvian. The collection features three of Peru’s amazing attractions: Machu Picchu, Nazca Lines and Caral. On a red pocket knife under the iconic shield with cross you find in writing either “Machu Picchu”, “Lineas de Nasca” or “Caral” and underneath the corresponding GPS coordinates. On the other side of the handle is the famous Marca Peru logo and a depiction of the respective Peruvian sight. 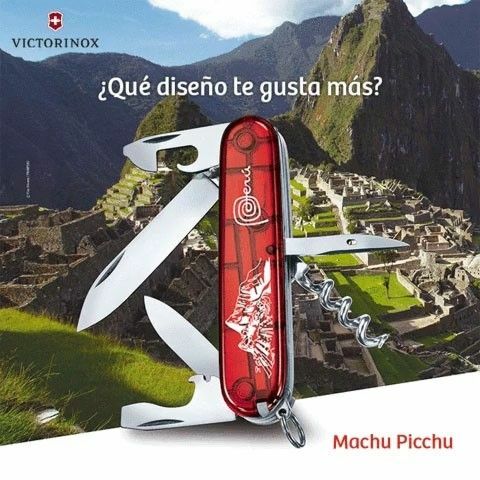 The Victorinox Peru edition pocket knife is expected to be available soon.